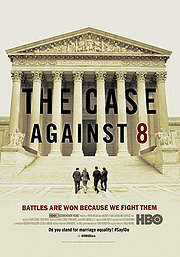 This past week I saw the new HBO documentary “The Case Against 8,” which was fascinating, and inspiring. The film makers followed the case for over 5 years, filming interactions involving the lawyers and the plaintiffs as the process unfolded. There was one particular scene that spoke to me quite powerfully. It was plaintiff Sandy Stier’s response to a question asking her how she knew she is a lesbian. She described the experience of falling in love with her partner Kris. The person then asked if she thought she could change, or if she had a choice in the matter. Sandy very thoughtfully explained that the experience of falling in love with a woman gave her important information about herself, and that she did have a choice about what to do with that information. However, she said emphatically, no, she cannot change the fact of who she is at her core. This is a critical point that is important for the health and well being of all LGBTQ people and their families, particularly in the face of very frightening and dangerous efforts to impose “reparative therapy” on people who are struggling with sexual and gender identities. The critical point is the distinction between acts and identity – between a fundamental, unchangeable human trait (sexual identity), and behaviors or acts, which may or may not be expressive of a core human trait. An excellent article by Jay Michaelson published in the Daily Beast titled Ten Reasons Women are Losing While Gays Keep Winning gives this distinction as the first of ten reasons for the success of the “gay rights movement.” A turning point in the long LGBT rights movement came when key human rights leaders began to turn away from arguments based on a “right to choose” sexual behavior/acts, and to frame the issue as a matter of discrimination against people based on their identity. Of course, as Michaelson points out in his excellent article, it is still OK to discriminate against people based on their behavior (which is the core position of those who push reparative therapy), but it is not OK to discriminate based on based human traits — ability/disability, race, and now increasingly the human trait of sexual and gender orientation/identity. So it is time to be very clear about this distinction, and to be aware of our own position in advocating for equality and rights for all LGBTQ people and families. Behavior may be seen as choice, within certain limits of human freedom. But where there is a choice, the health is wholeness … having the inner peace that comes from actions, words and deeds being at one with one’s core identity/being. 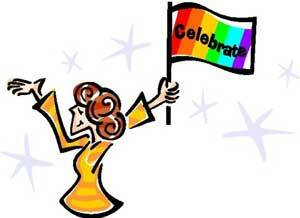 It still takes great courage for LGBTQ people to act in ways that are congruent with their true inner Self. But even in the face of all the challenges, in many parts of the world there is reason to celebrate the growing arch of history that bends toward freedom and justice. This entry was posted in Activism, Join the discussion, LGBT Health, LGBTQ rights and tagged Case Against 8, Jay Michaelson, reparative therapy. Bookmark the permalink.